Championship side QPR want to use a new stadium in White City to expand its work in the community, the head of the club’s charitable arm has said. 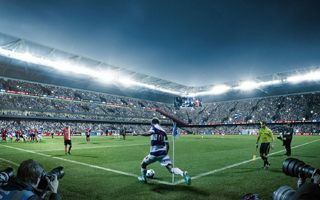 QPR in the Community Trust chief executive Andy Evans said it has outgrown its small office at the championship side’s current home, Loftus Road, and that more could be done “with proper facilities in a new stadium”. The community trust uses football coaching to try and promote healthy lifestyles amongst children and adults, as well as to tackle deep-seated social problems such as unemployment and youth offending. With 28 full-time employees and dozens of coaches QPR in the Community Trust has outgrown the facilities available currently. However, the club is currently locked in a long-running dispute with second-hand dealership, Cargiant, over a potential new stadium. Plans of a “New Queens Park” stadium in White City have been stalled since 2014.